Happy 50th Birthday to The Time Tunnel and to all who have travelled through time with us this past 50 years. 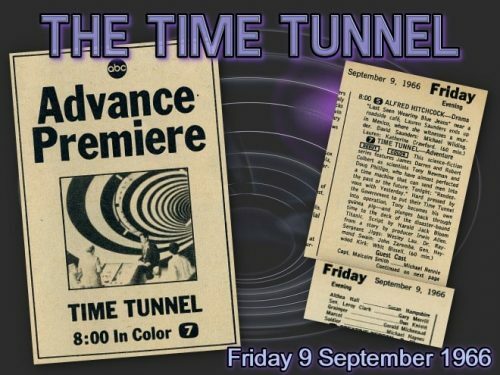 On Friday 9th September 2016, The Time Tunnel celebrates the 50th Anniversary of its first broadcast in the US on Friday 9th September 1966. Above are the original US TV Guide clippings for the premiere. Time hasn’t weakened the popularity of this series as evidenced by the continued interest amongst fans, collectors, authors, and time travellers! The influence of The Time Tunnel is far reaching as many night clubs, events, movies and tv shows take inspiration from the theme and design of the Time Tunnel for their stories, logos and backdrops. In the UK, The Time Tunnel first aired on the BBC on 9th July 1968, and only had a partial run before being shown in a few ITV regions in the 1970s and then experienced a rebirth over 22 years later on late night television (ITV). 12th June 2016 marks the 100th birthday of Irwin Allen, the “Master of Disaster”, and all round king of science fiction and movie making. It’s amazing to think that he was already in his fifties when busy making his quartet of science fiction shows in the mid to late sixties and this shows us all how much can be achieved even in our later years. He has inspired many movie makers who followed in the decades since, and his name and productions are often referred to and compared with when critiquing current day producers’ work. That influence shows no sign of abating as we commemorate Irwin Allen’s 100th birthday. We are working on a number of projects in the coming months and years to help keep his body of work in the public eye well into his second hundred years and beyond. Your input to these projects is a vital and a most welcome contribution to ensuring his legacy for the future. 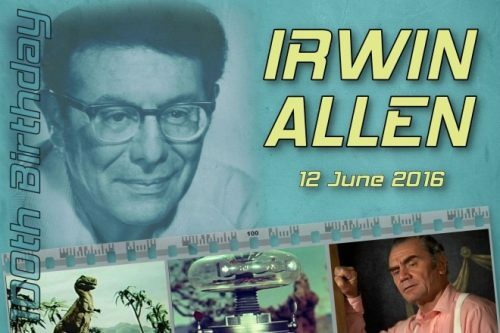 Please feel free to share your Irwin Allen creations, collections, and research any time via our contact page. 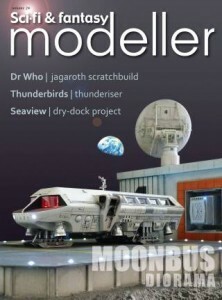 Issue 24 of Sci-Fi Fantasy Modeler is due out in January 2012 and features MarkM‘s superb Year One Jupiter Two (Pilot episode “The Reluctant Stowaway” conversion) as well as an article on the Seaview model. 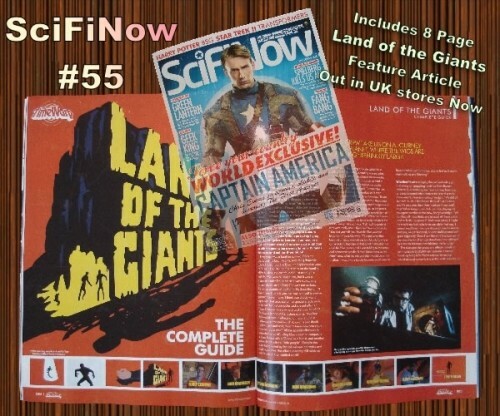 SciFiNow issue 55 features an 8 page article on Land of the Giants and chats with Gary Conway, Heather Young, Stefan Arngrim and Giants Log about this classic television series. Available in UK stores now. The magazine can also be purchased online at the Imagine Shop.